There is probably no category of purchase decisions that is more personal, private and intense that those that are focused on our personal health, especially considering the choices available across the spectrum of health care providers, technology and much more. Think about it… if you’re a patient seeking medical attention, logic and common sense should influence you to first thoroughly research before making any final decisions. Why? Simple. It’s your health, well being, and life on the line! In today’s technologically savvy world, your first and many times only option will be to search online for the best health care provider to suit your own personal needs. The reality is that people now want to “play it safe.” After reading some of the medical horror stories in the news, many seek access to the wide variety of information available to them online. They want to analyze, compare and evaluate all the available options, and make a final decision based on real time information available to them. Who can blame them? Health care industry professionals are increasingly aware of this change in consumer behavior, and for the past few years, they have been focusing their marketing and advertising efforts on building a strong and positive online reputation. There is fierce competition in the health care industry, and having a well-established and solid reputation based on good reviews, amongst other factors, is essential to surviving and thriving in the market. As a growing number of people seek health care providers online, so do the number of health care professionals who advertise online. This is why more health care providers than ever are seeking the services of Internet Marketing professionals that they can consult with to improve their online visibility and reputation. The answer to a better online presence includes SEO (Search Engine Optimization), PPC (Pay per Click Advertising), SMO (Social Media Optimization) and other SEM (Search Engine Marketing) strategies. One important thing to remember when building an Internet Marketing strategy for a health care provider is that mainly this industry competes on a local basis. This means that they are competing against other doctors, dentists, surgeons, etc. in the exact same geographical region. Anything that can give your business a competitive edge is essential and must be taken in consideration for your online efforts. When crafting a strategy for local SEO, there are some factors an SEO professional has to take into consideration. Local businesses require geo-targeting to make it easier for people looking for their products or services to find them. Tools such as Google Places, Yahoo Local, Bing Local, Local.com, Yelp, and other local directories provide key avenues towards generating targeted local traffic. Now you might be thinking, “Okay, but I have been doing everything you just mentioned.” You already have an SEO strategy, but you are still not ranking high in organic (natural) search. You might be asking yourself, why is this happening? Why am I not ranking? And what should I do to achieve better positioning in organic search results? The answer may be buried a little deeper than you think. You might be overlooking the quality of your backlink profile. As defined “backlinks refer to hyper-links pointing to a particular Web page. Backlinks are important to SEO, because Google considers the quality and quantity of backlinks to determine PageRank”. Even though, backlinks aren’t a single determining factor for search rank, the quality and quantity of backlinks on your site influences your website’s authority and Page Rank. Which are two important factors search engines take into consideration when choosing which results to provide for a particular user’s query? 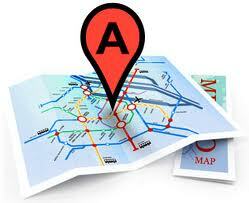 The main purpose of building a backlink profile is to demonstrate relevancy to search engines. The first step to determine if this is playing a determinant factor in your SERPs (Search Engine Results Pages) is to conduct a backlink analysis of your website. The main objective of this analysis is to determine what kinds of links are currently linking back to your site. Are there links from authoritative, high ranking sites, or is your website linked to by “shady” and non reputable sites? A domain backlink analysis is required to get all this information. There are many different research tools you can use to get relevant information about your website’s backlink profile. However, my favorite is Open Site Explorer. It’s basically a search engine for URLs. Copy and paste your domain name into the search box, click enter, and watch the magic happen! In moments, you’ll have a full display of metrics for your website. This includes inbound links, top linking pages, and top anchor texts, which are all ready and waiting to be analyzed. The next step in the process is to analyze the quality of the data provided. The best way to do this is to export all of the data from Open Site Explorer into an Excel spreadsheet. After fully exporting the data, you must be very careful and analyze each page’s current backlinks. Pay special attention to links with high authority as well as those with little to no authority. Imagine that you are a plastic surgeon. (Who knows, maybe you really are!) Let’s say you wrote an excellent article on how to not gain weight after surgery, which was featured on CNN Health. This, of course, is an invaluable backlink, coming from CNN. By continually writing engaging and informative copy that is accurate and relevant to your audience, you increase the chances of getting noticed by larger publications, which will build more of these quality backlinks. The same principle applies for the “bad” backlinks on your site. Identify which sites are harming your backlink profile and stop approving their links and/or linking back to them. New tools such as the backlink disavow tool can help you identify and prevent unnatural links to get linked back to your site. Google Webmaster’s center will send you a message notification warning you about unnatural links, after you disavow links you are technically telling Google which links you approve and which you don´t. In the past, directory sites were created for the sole purpose of artificially boosting a page’s authority. However, search engines, particularly Google has devalued these links and penalized websites for having poor or spammy backlinks. Backlinks must be earned, not just gamed or built to try to “get by” with the search engines. So now that you’ve assessed your site’s condition and know what’s working in your favor and what’s not, you can use this information as a benchmark to compare your progress with the leaders in your industry. If you’re performing an in-depth comparison, you can even use Open Site Explorer to look at competitors’ backlink profiles. What kind of links do they have? What are they currently doing that you are not? What strategies have they used to obtain their valuable backlinks? Use this comparison to your benefit and try some of the strategies you haven’t been using to continually improve your link profile. Identify who your top local competitors are (though I’m sure you already know them by heart.) However, just start searching for relevant terms and phrases. Your online competition will be staring right at you on page 1 of the search. Once you have your competitor’s names, all you have to do is follow the same process we followed when conducting your domain’s research. Using Open Site Explorer, copy and paste each one of your competitor’s URLs inside the “search” box on the tool’s main page and click “Search.” Even though the tool gives you the option to “compare” more than one website, I like to do one URL at a time to avoid confusion. After you click the search button, Open Site Explorer will again provide you with inbound links, linking domains, top pages and top anchor texts for each one of your competitor’s domains. The beauty doesn’t end there! You can also export this data to separate Excel spreadsheets, which will make it that much easier for you to analyze and compare. The last step in this process is to analyze your competitor’s data. Again, follow the same process used when analyzing your own domain data. Determine where their backlinks are coming from and which sites are linking to them. Do these sites have a good reputation, high authority and Page Rank? The most important part of the process is to identify the backlink strategies your competitors are using successfully (that you aren’t using) and incorporate them into your own strategy. Remember that you’re a plastic surgeon? Well, imagine you just found out that a local competitor has four .edu backlinks. You know that these are the best kind of backlinks to have because they carry high authority. Now you want to know how they got those links. Well, you can – thanks to the competitive analysis you performed on this competitor. Now let’s say that upon further analysis, you discover that one of these .edu links comes from an alumni directory from the university your competitor graduated from. You could consider adopting this same strategy and create a page on your university’s alumni page that includes your full name, a link to your business, and there you have it! Your first quality .edu link! This same strategy can be followed if you discover your competitors have .org, .gov, or any other kind of quality backlink you can take advantage of. This includes hospitals where they have worked at, prestigious associations they are members of, or the chamber of commerce in the city where their business resides. All of these entities have a strong online presence which you can leverage from to improve your backlink profile. If none of your competitors are doing this, take advantage! Working in the health care industry is very competitive, but often the challenges can be overcome with well executed online marketing strategies. Obtaining quality backlinks is just one way to improve your SEO strategy. They will boost your visibility and increase your Page Rank and authority. They will also improve the amount of traffic you receive as people follow those links back to your site. Are you a health care provider struggling to compete online? Do you want to maximize your exposure to potential patients? Contact us today. We work with local health care clients and can help!